Portuguese ace Ronaldo gives the thumb-up sign as he arrives to undergo medical checks at the Juventus stadium in Turin. 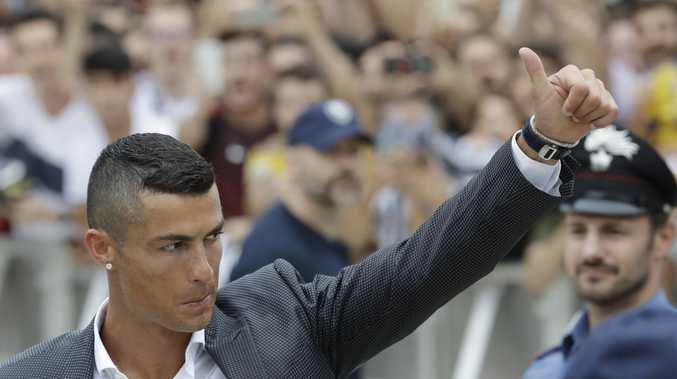 CRISTIANO Ronaldo's move to Juventus has led the price of some Serie A tickets to rise by a whopping 600 per cent. The Portuguese superstar completed a £90million ($A159 million) move to Turin from Real Madrid after starring at the World Cup. Ronaldo is arguably the biggest name in football right now and fans are desperate to get a glimpse of him in action this season. Juventus supporters will be able to watch him week in, week out as they go in search of an incredible eighth consecutive Serie A title. But fans at other clubs are also keen to see Ronaldo in the flesh, and Tuttosport claims there are none more so than those at Parma. 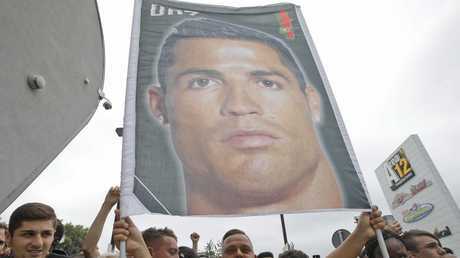 Juventus fans wait for Portuguese ace Ronaldo. The minnows are back in the big time after being declared bankrupt in 2015 and being forced to work their way up through the various leagues in Italy. And it appears some are keen to take advantage of their return to Serie A - as well as the presence of Ronaldo at Juventus. Max Allegri's men travel to Parma in the third game week, and ticket prices across the 22,000-seater are rising steeply. The average price for a seat in the North End used to cost just £22.25 ($A39), but these are now being flogged for an astonishing £158.40 ($280). 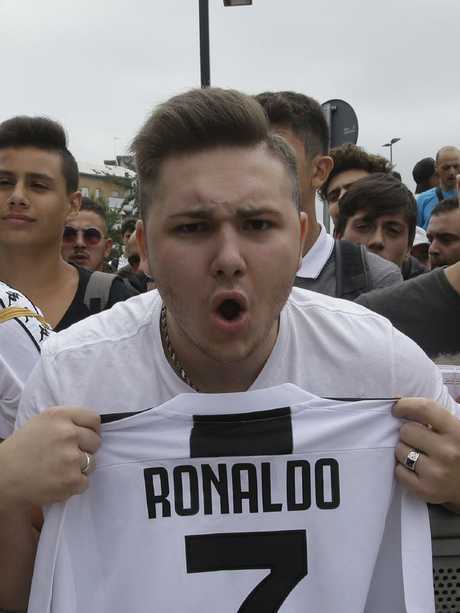 That's just £10 ($17) less than it cost for a season ticket during Parma's last campaign, with some seats going for as much as £400 ($709) each - meaning Ronaldo fever has well and truly hit everyone across Italy.